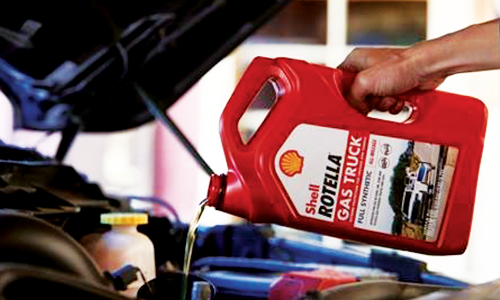 Shell Lubricants is introducing Shell Rotella® Gas Truck full synthetic engine oil providing, extreme protection for towing and hauling for gasoline-powered pickup trucks and SUVs. The oil, from the makers of Shell Rotella heavy duty diesel engine oil, offers the unsurpassed protection these engines need in three viscosity grades: 0W-20, 5W-20 and 5W-30 beginning in January in the U.S. and in May in Canada. The oil will be available in 1 quart, 5 quart and Ecobox in the U.S. and 5 liter in Canada.